A group of 23 students and six faculty members from the University of North Georgia and Brenau University of Gainesville Georgia are on the island. Students working on their teaching degree in the US are on the island for seven days working with teachers in the Belizean classroom. Meanwhile, the business students are working with community members to develop new business opportunities. Heading the group is Carly Wynne of the University of North Georgia, who explained that the group is working with teachers and students at Holy Cross Anglican School and San Pedro High School (SPHS). They are also conducting seminars with women and men in the community in developing their skills that could be used to form business opportunities, with the hope of improving their economic conditions. “We brought down several groups of students but we have mainly student-teachers. They are working mostly in classrooms at Holy Cross, assisting in the classroom, helping with sports day and helping in developing teaching materials. We also have two members working at San Pedro High School,” said Wynne. 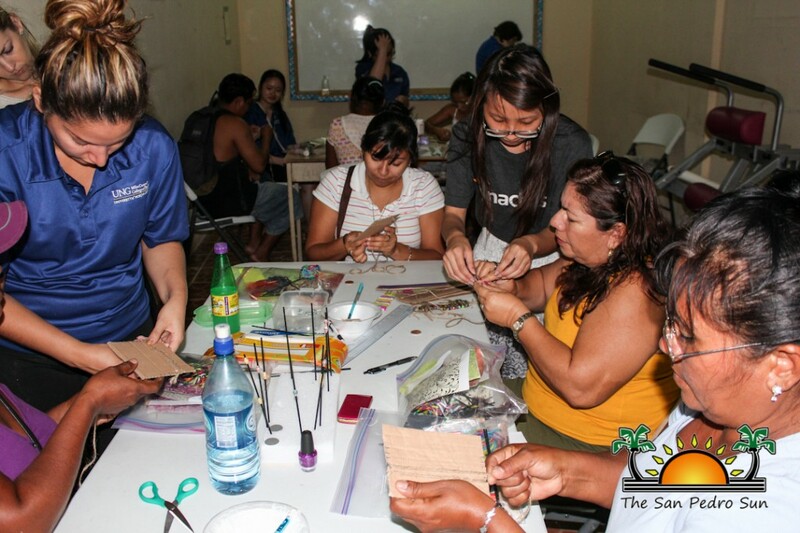 One of the highlights of this year’s visit is a group of business students that is working with members of the community, teaching seminars on how to make beads. Those seminars were offered at the SPHS at various times of the day. 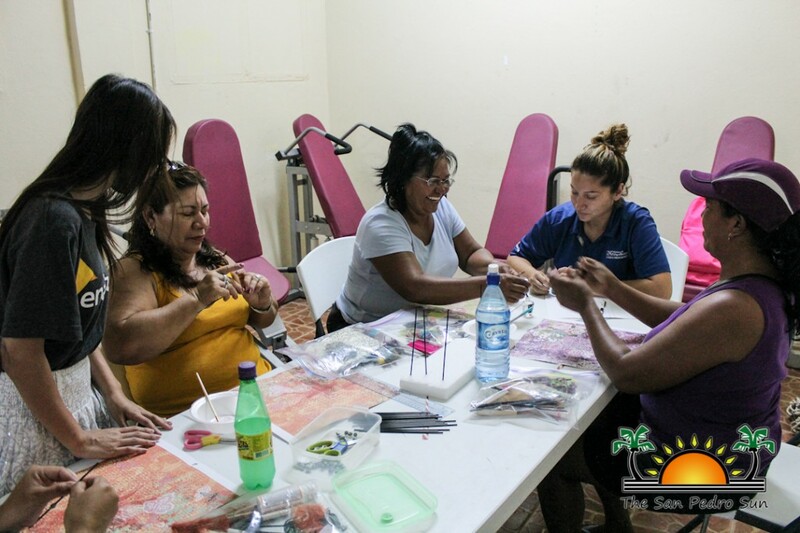 Learning to make beads and jewelry is empowering, especially for women who may need an inexpensive way to start a business. Heading the business group is Professor Katie Simmons, Associate Dean at University of North Georgia. She explained that a similar initiative was started in Nicaragua in 2007 with women who started a cooperative and have been successful in supplying various markets. 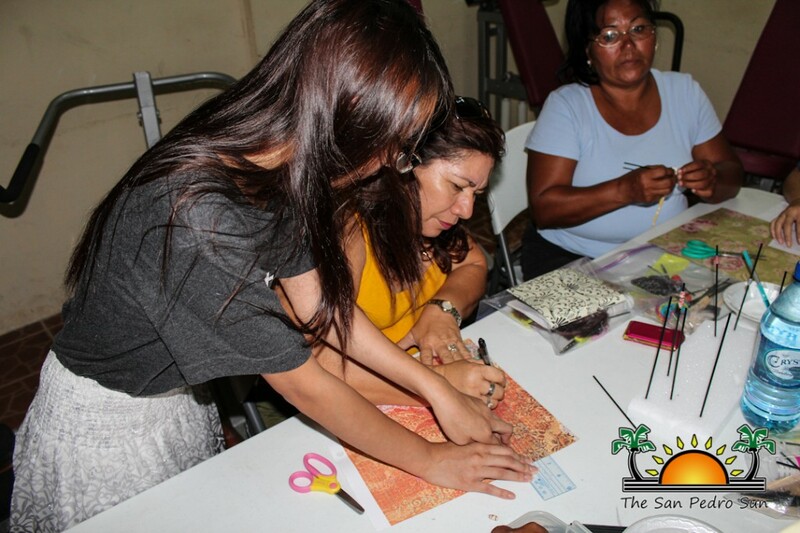 “We are teaching them a low cost way of getting into their own business because these products can be made from recycled materials and turned into jewelry that can be sold. It can be sold locally, but if they truly want to become entrepreneurial, they can form a cooperative and turn it into a big business. This is a tourism area and they can make excellent jewelry that I know will be appealing to the tourists,” said Simmons. 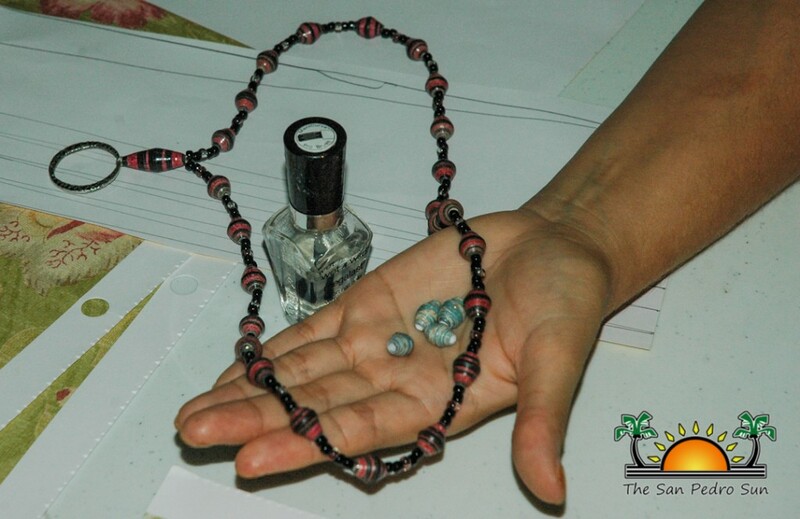 At the workshop, those in attendance were taught the methods of creating different beads using different patterns, and how to apply materials that make the beads more durable for a longer lifespan. 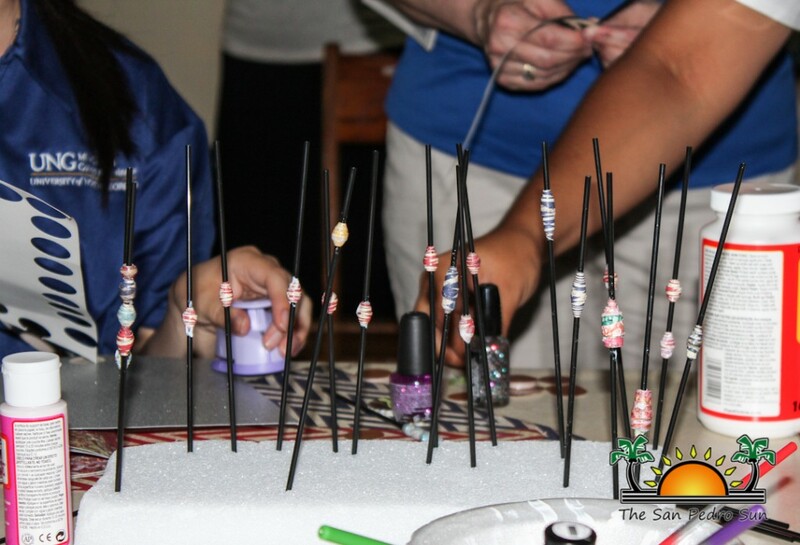 Attendees learned how to turn beads into jewelry, as well as how to focus on presentation, all in an effort to attract potential buyers. According to Wynne, many of the students that came this year are sophomores and juniors, with the exception of a few seniors and a recent graduate who is assisting. For the Teacher-Education students, it is a requirement as part of their curriculum to take a culture diversity program, and some chose Belize to do such a program, incorporating their course into the university’s study abroad program. For the business students, their visit was more of an experience, putting their knowledge to work in helping solve problems by creating a new form of business for lower income families. The students will leave Belize on Saturday, May 10th.